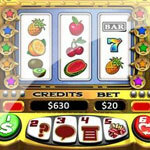 Video poker is a great casino game that combines both luck and skill. 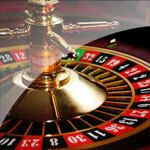 The game was introduced in the 1970s and was originally known as poker slots. Video poker has a lot in common with slot machine games as they are both easy to play and the cards are dealt by random number generators, in the same way that the slots reels are governed. The game of video poker for Canadians has become one of the most popular casino games among Canadian players at both the online casino and at the mobile casino. 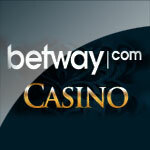 The game has a particularly low casino edge as well as the opportunity to win big payouts. Unlike the classic game of poker, video poker is not played against the dealer or other poker players, rather, it is about the player building his best possible poker hand and then collecting winnings according to the payout table. There are a number of different varieties of mobile video poker with the most popular ones being the games of Deuces Wild, Jacks or Better and Aces and Faces. The video poker game begins with a wager being made and the player being dealt five cards. Most of the video poker games use a standard deck of 52 cards. The player holds the cards that he wants to keep and draws the cards that he wishes to trade in for new ones. This then creates your final poker hand. 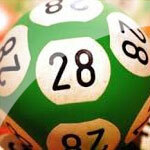 Your final hand will then be compared to the payout table to see how much you have won. Sometimes the decision to hold on to a card or to draw a new one will be an easy decision to make, while, at other times the decision will require more thought and calculation. This is the strategy aspect of the video poker game. The more experience you acquire, the better you will become at making these decisions. Different versions of video poker will have different payout tables and their own rules concerning the minimum hand that is needed to win, so be sure to check the payout table and the minimum hand before beginning to play. A winning hand in the game of mobile video poker is based on a five card poker hand. The list is ranked from the highest possible win down to the lowest. Royal Flush - Ace, King, Queen, Jack and 10 all of the same suit. Four of a Kind - Four cards of the same number such as 3 of spades, 3 of hearts, 3 of clubs and 3 of diamonds. Full House - Three cards of one number and two of another. Flush - Five cards of the same suit that are not consecutive. Straight - Five consecutive cards from different suits. Two Pair - Two sets of two cards of one number. Pair of Jacks of Better - Two Jacks, Queens, Kings or Aces. There is a wide selection of Canadian video poker games to play. 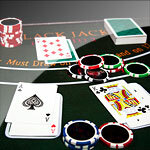 The most popular of the video poker games are the games of Jacks or Better, Aces and Eights and Aces and Faces. Different video poker games have different pay tables and their own rules concerning the minimum hand that is needed to win. Always check the payout table and the minimum hand before beginning to play. The decisions made to hold on to a card or to draw a new one will sometimes be an easy decision to make, while, at other times the decision will require more thought and calculation. This is basically the strategy aspect of the video poker game. The more experience the player acquires, the better he will become at making these decisions. Most players of video poker can increase their chances of winning by holding or discarding the first five cards that they have been dealt. Always hold a royal flush, straight flush, four of a kind, full house and three of a kind. With a three of a kind, discard the remaining two cards for a chance for four of a kind. If you have four cards to a royal flush then break up a pair of jacks or better. The game of video poker is totally random and a Royal Flush can come along at any time. Do not be tempted to chase your losses or continue playing when your money has run out as you are convinced that a Royal Flush is overdue. Players with experience should play with maximum coins or the maximum bet as in the event that they hit a Royal Flush, the casino will reward them with a huge payout. 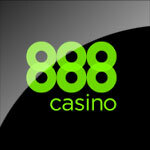 The game of video poker is especially enjoyable from a mobile device. The touch screen function makes the whole game play much smoother and faster and many of the mobile poker versions come complete with a stats feature that allows you to track all of the hands and bets made during every gaming session. Enjoy all of the superb versions of video poker at the mobile casino and remember that the game has a particularly low casino edge and is potentially very lucrative.